GoCar is the first-ever GPS-guided storytelling car. It's the most exciting and entertaining way to see San Francisco. Experience what visitors rave about, and why "Time Magazine" nominated it. Available for rental every day. Daily collision damage waiver (CDW) for the rental is similar to a car rental and costs $12/day for the GoCar if elected by the driver. Want to experience the San Francisco most visitors never see? 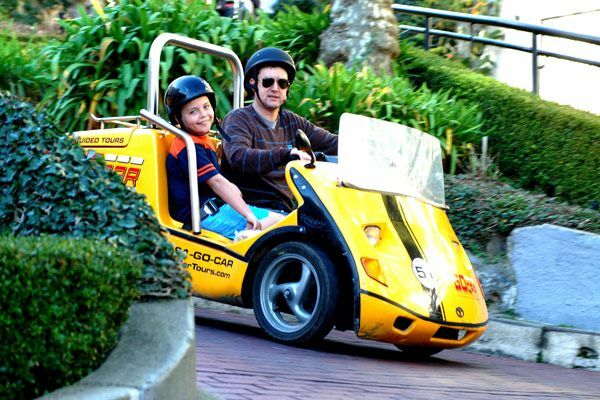 Fold up your map, put away the guidebook and jump into a GoCar. 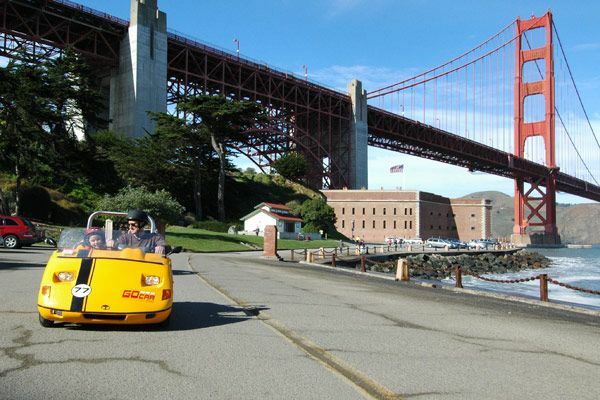 Zip all over town while this little yellow car takes you on a GPS-guided tour of San Francisco. Your clever talking car navigates and shows you the way – but that’s not all. As you enjoy the drive, it takes you to all the best sites and tells the stories that bring this unique city to life. 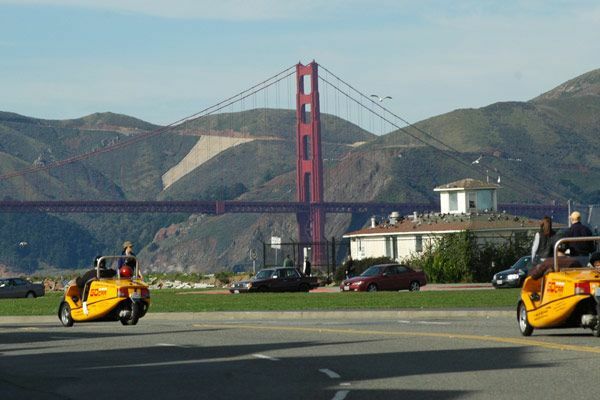 The GoCar takes you to spectacular places few visitors get to see. It’s like having a local show you around. And this little car can go where the tour buses can’t. Best of all, the adventure happens at your pace. You can stop for photos, take detours, grab a coffee or break for lunch. (You’ll actually be able to park!) Or you can blaze your own trail and explore the city streets, neighborhoods and parks on your own. Tax is at 8.5% and included in the price of the tour.